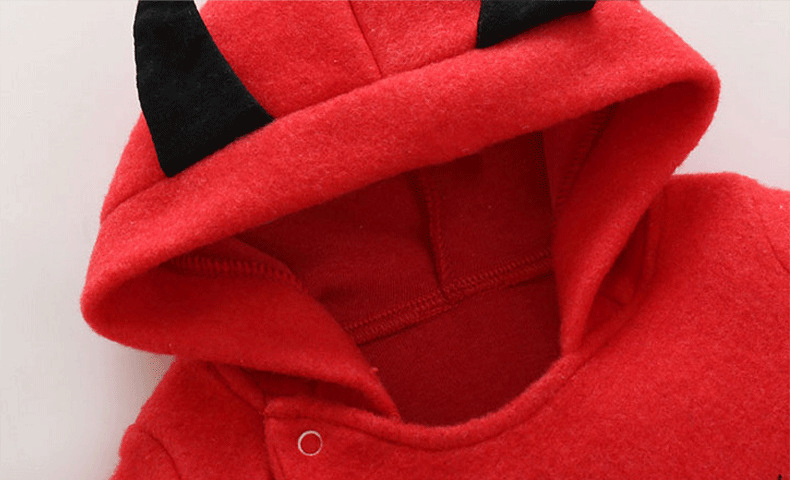 Very nice little devil costume for kids. 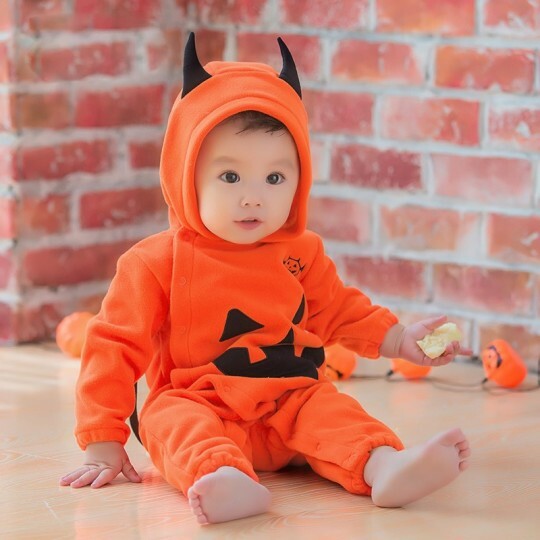 It's perfect to celebrate Halloween and have fun together. 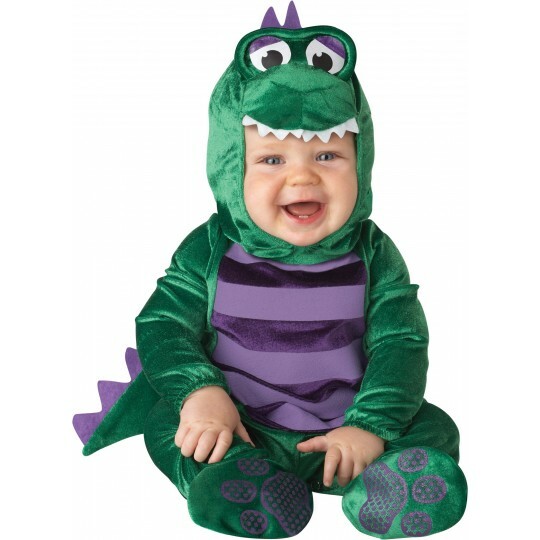 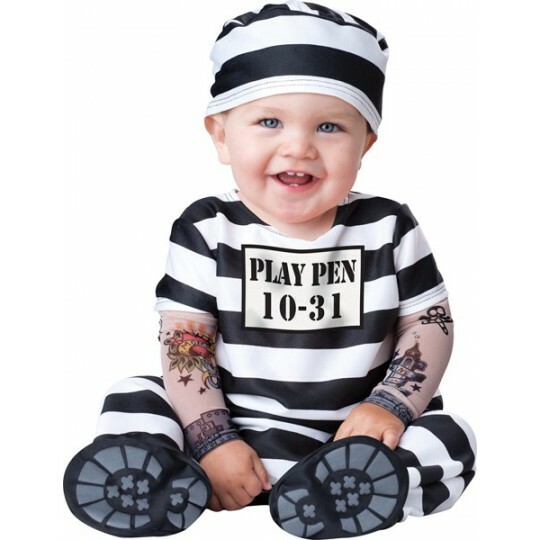 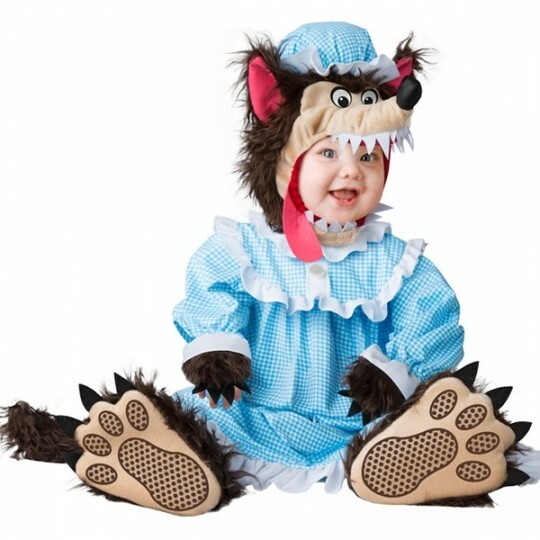 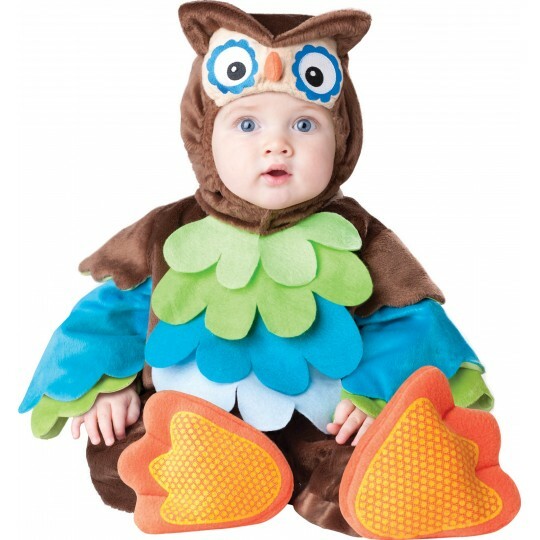 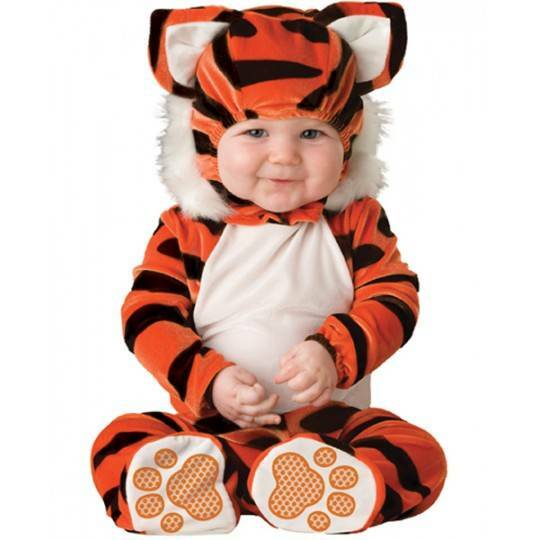 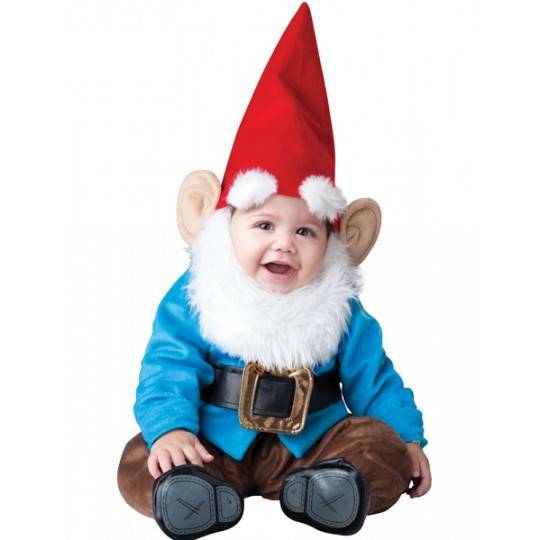 The costume is provided with leg snaps for easy diaper change. 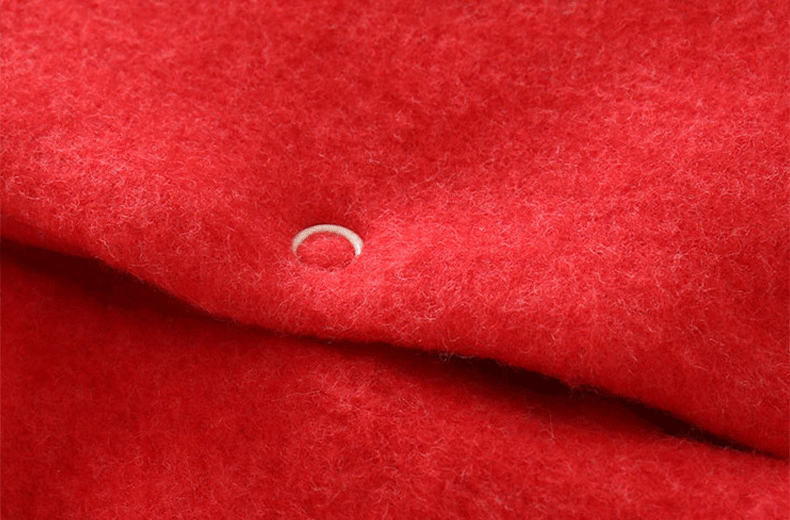 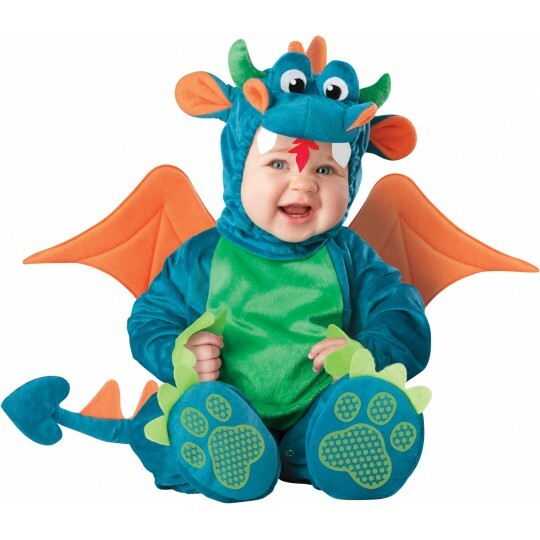 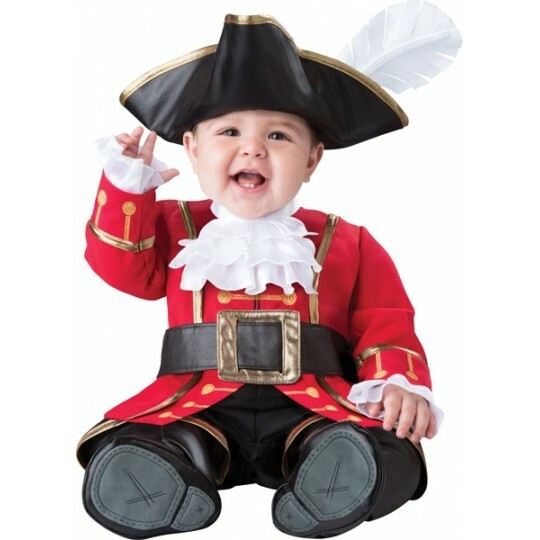 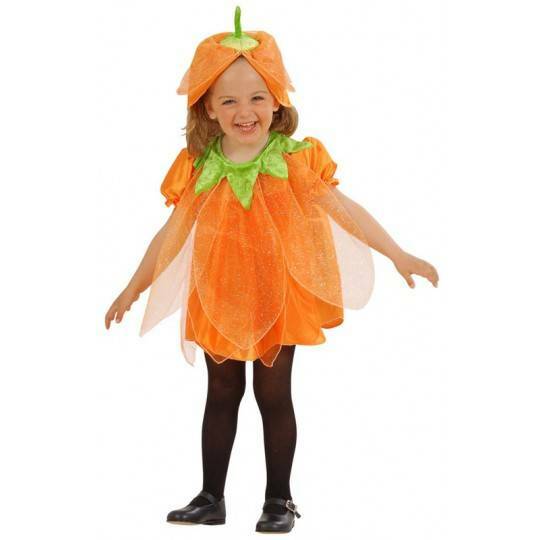 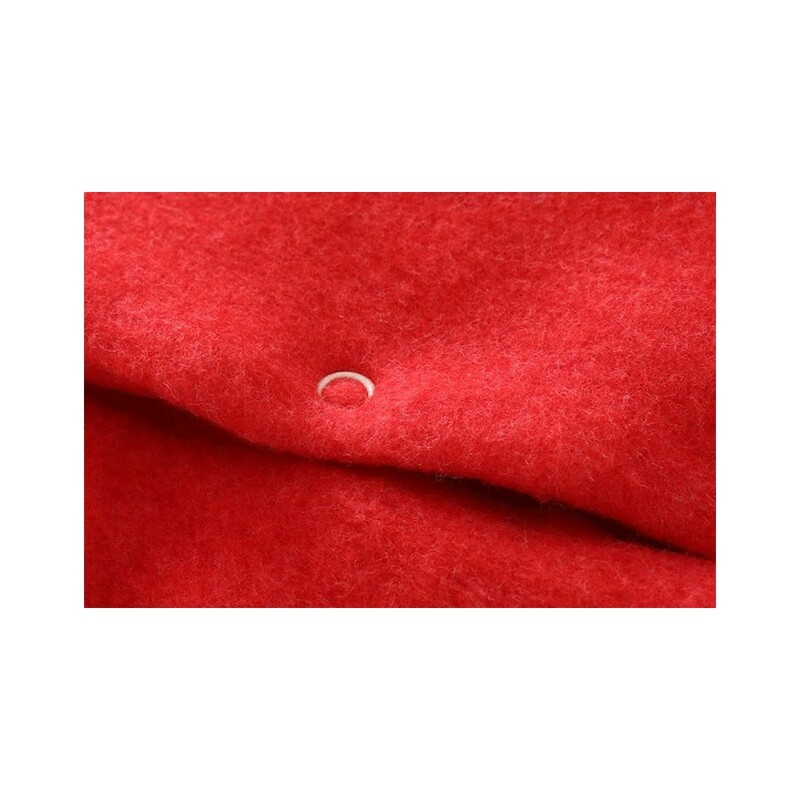 The costume is supplied in 4 sizes: 66/73/80/90 cm. 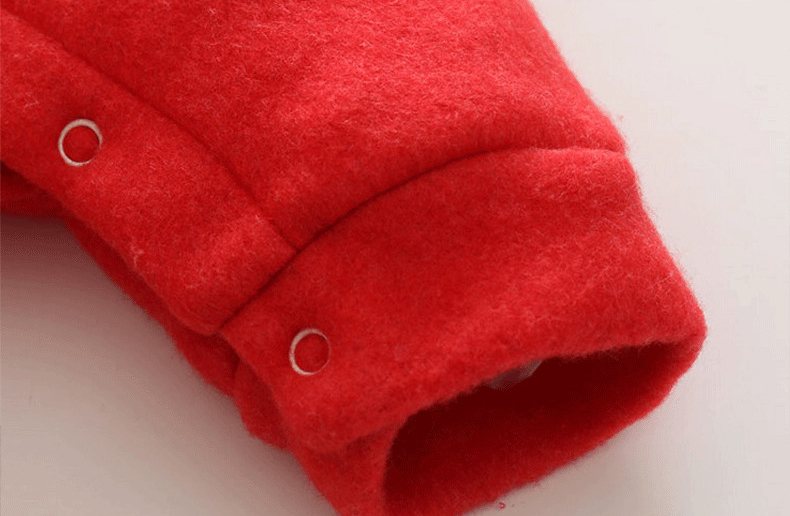 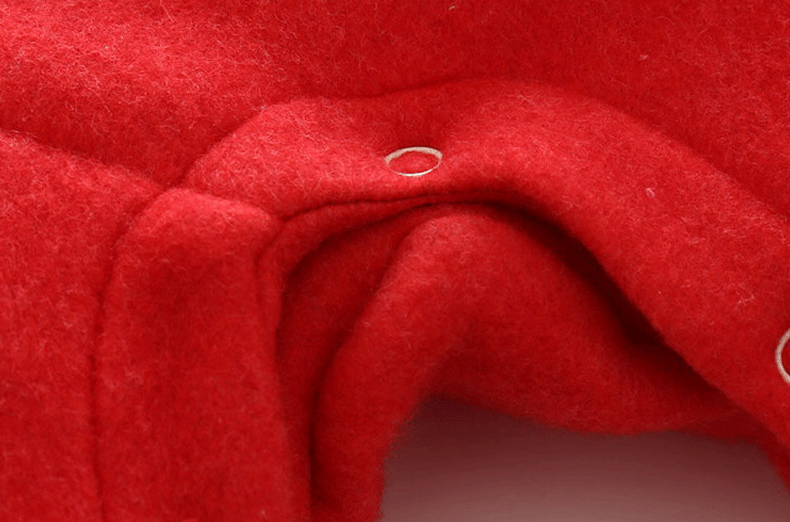 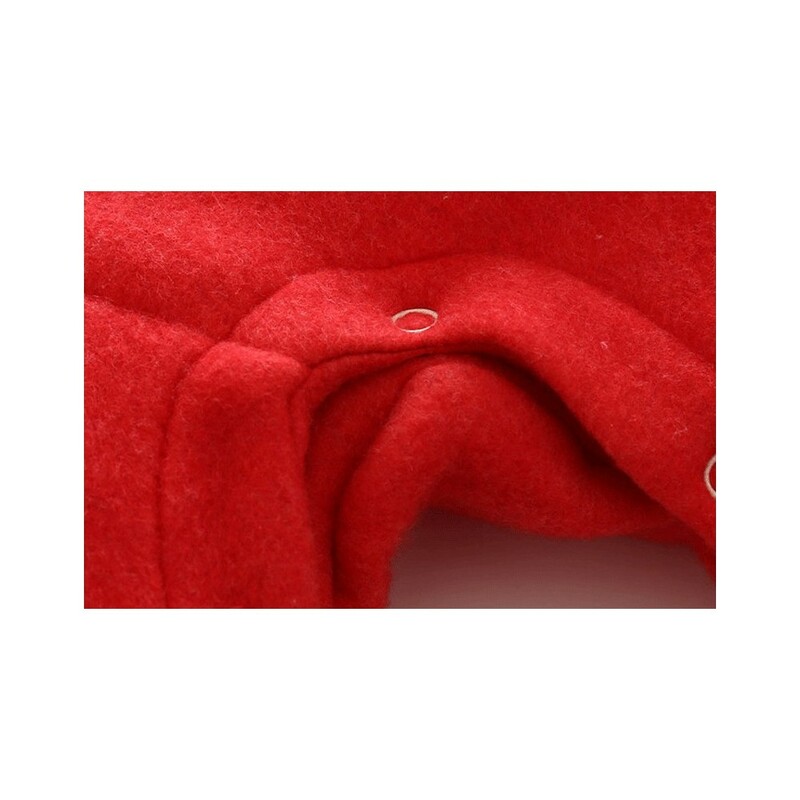 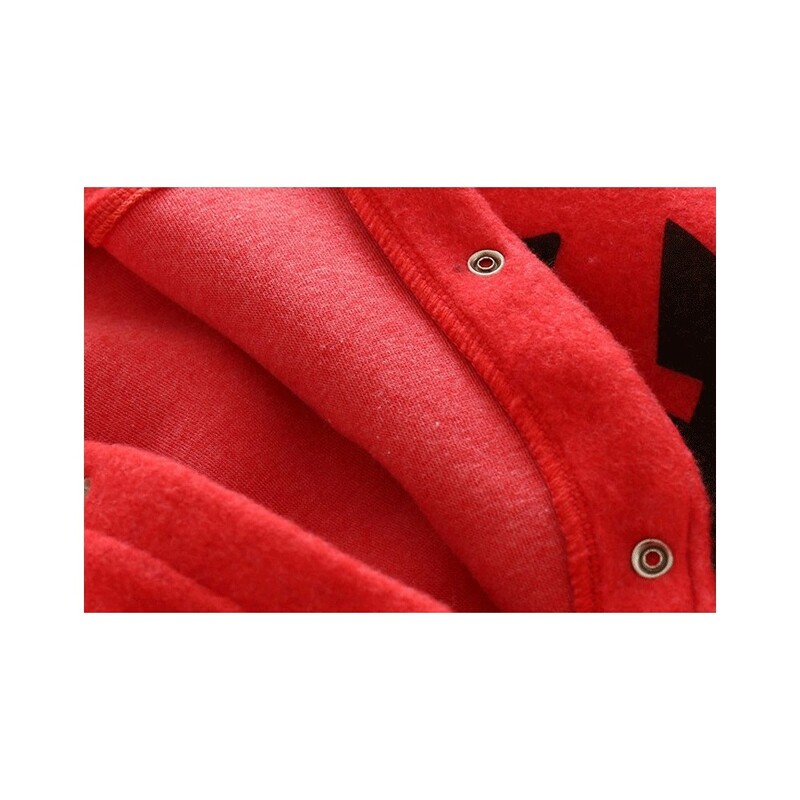 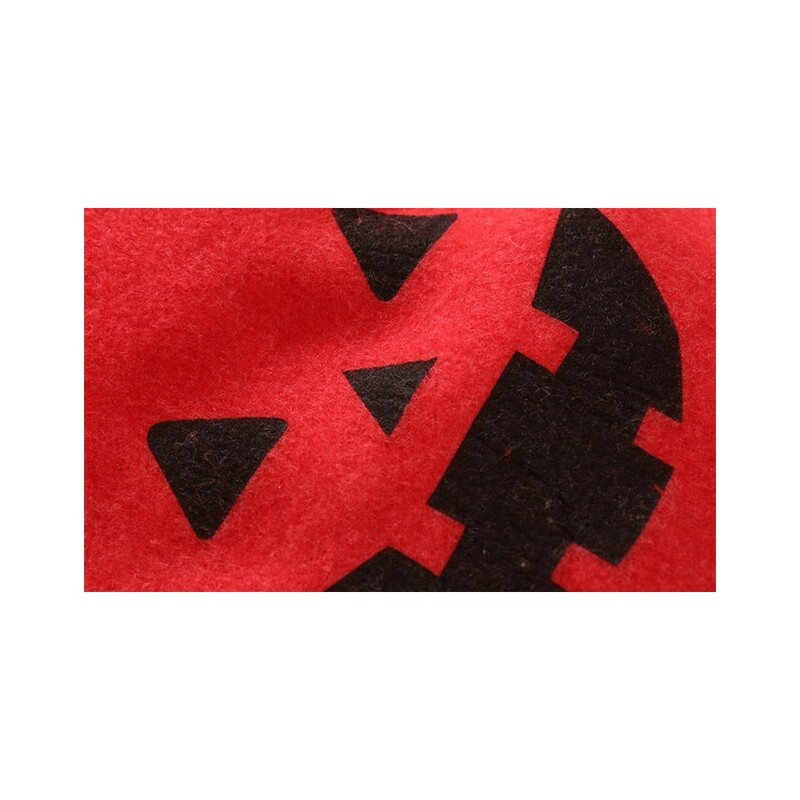 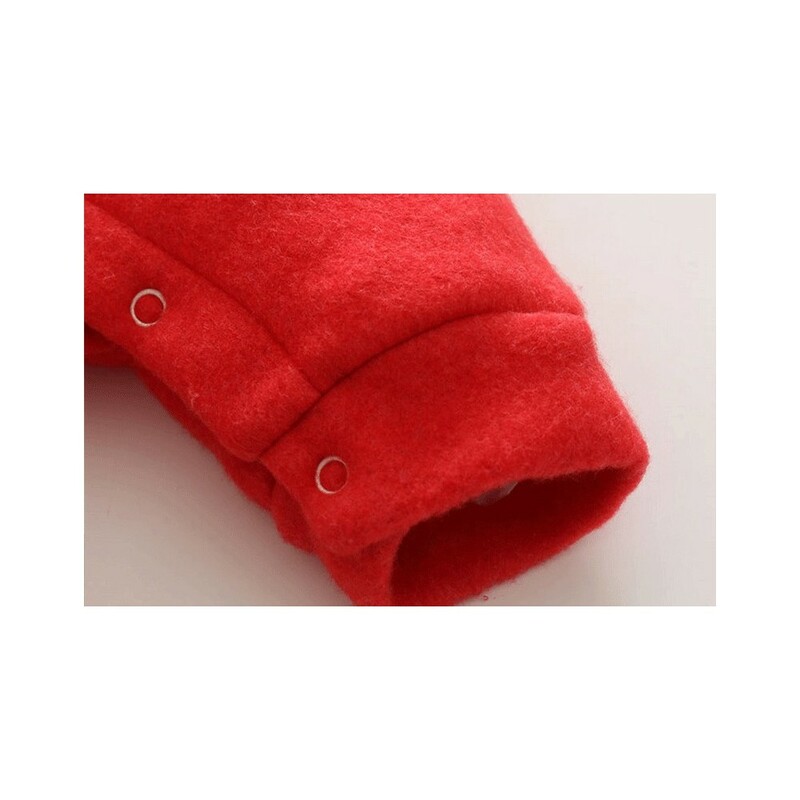 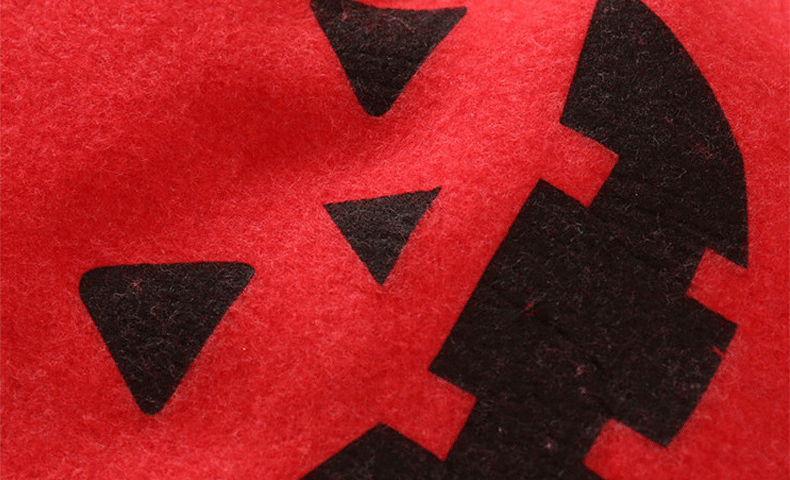 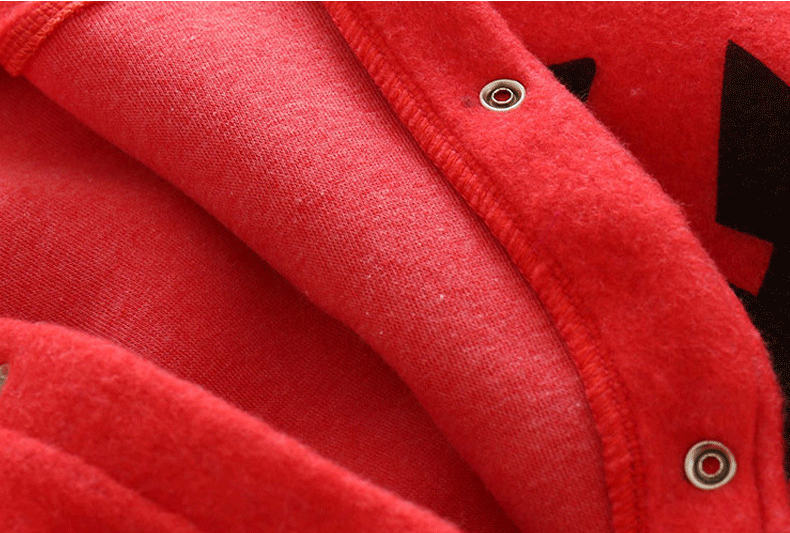 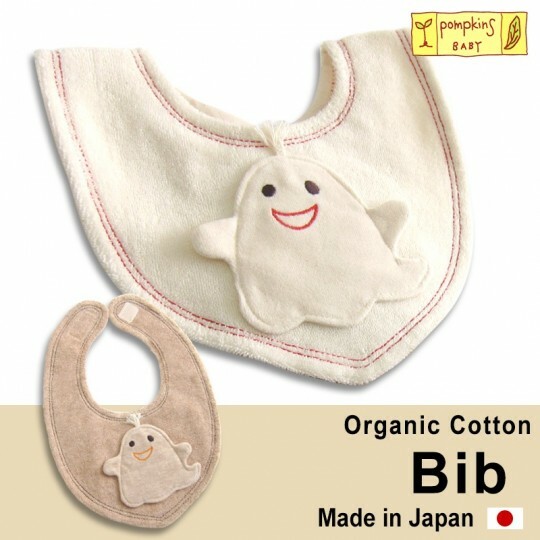 NOTE: the label with size and washing instructions is sewn on the back (to avoid any bother to the neck of the baby when trying the jumpsuit) and can be easily unstitched after taking note of the instructions. 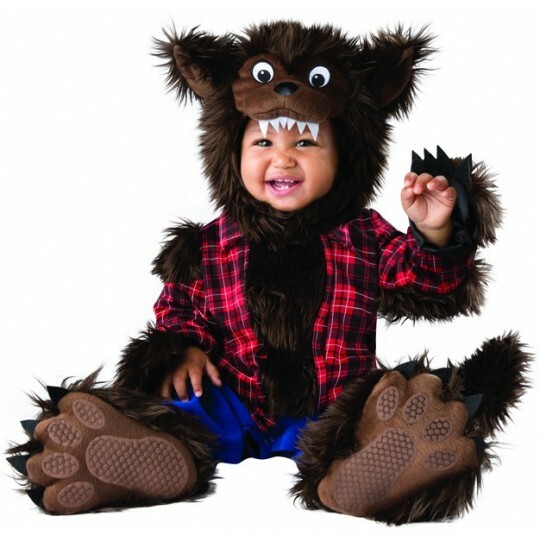 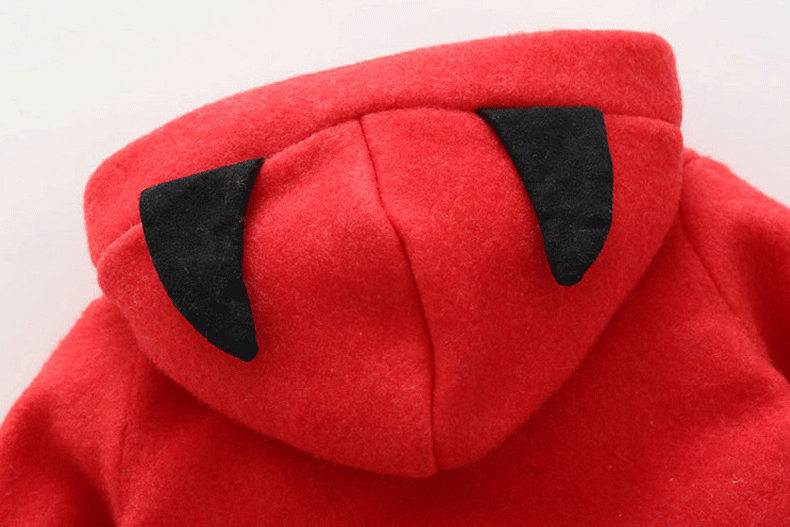 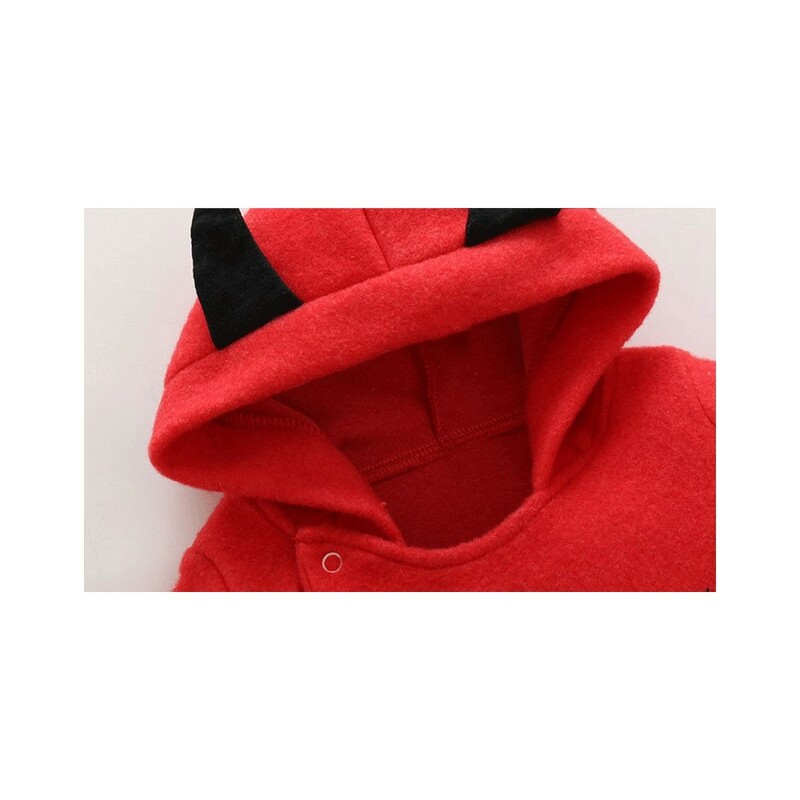 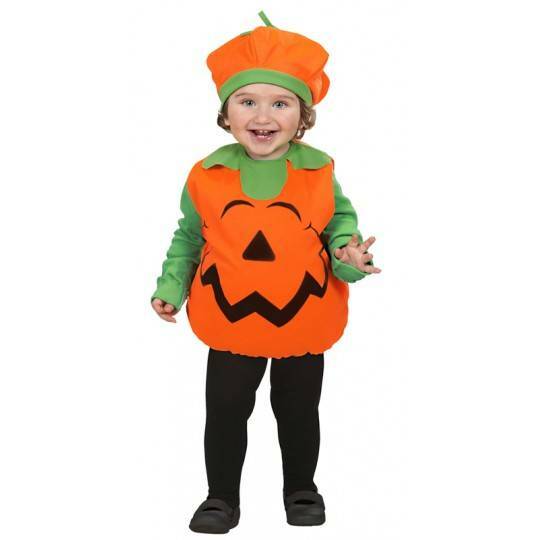 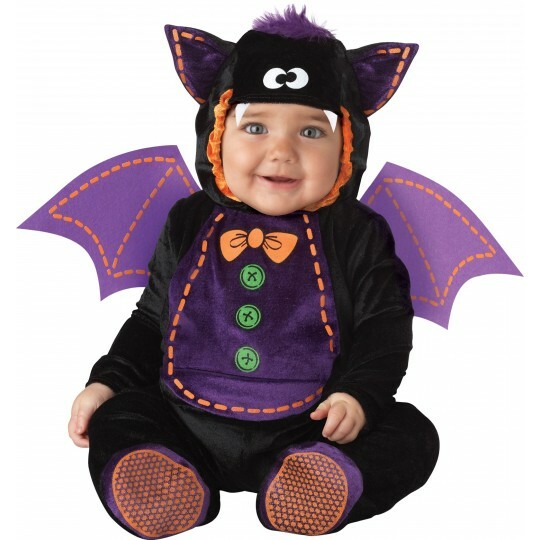 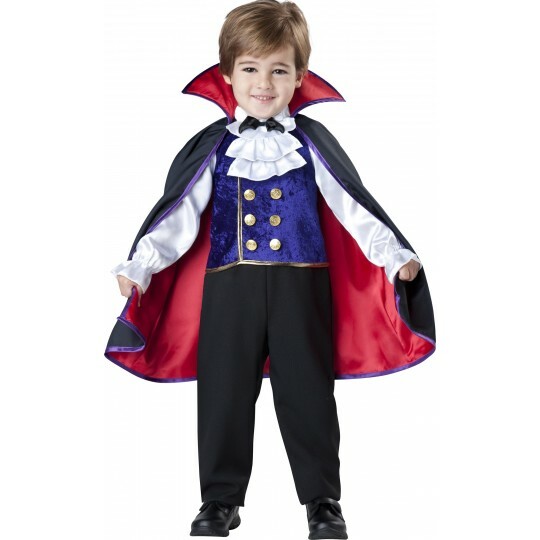 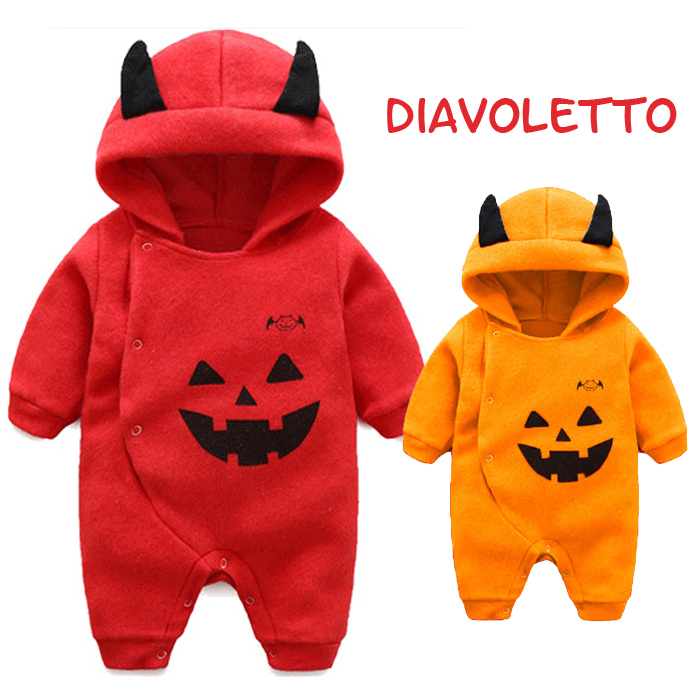 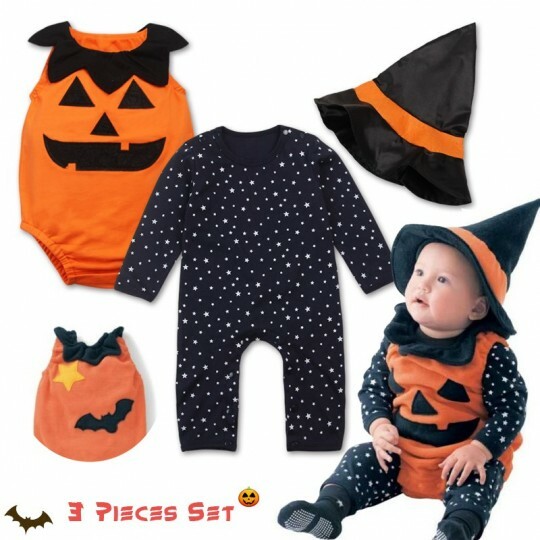 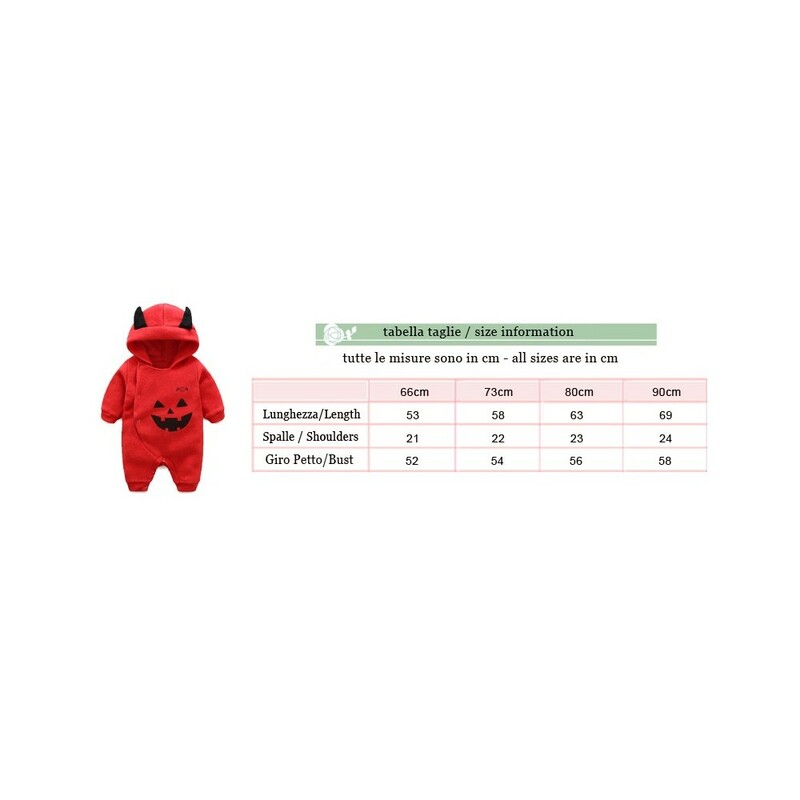 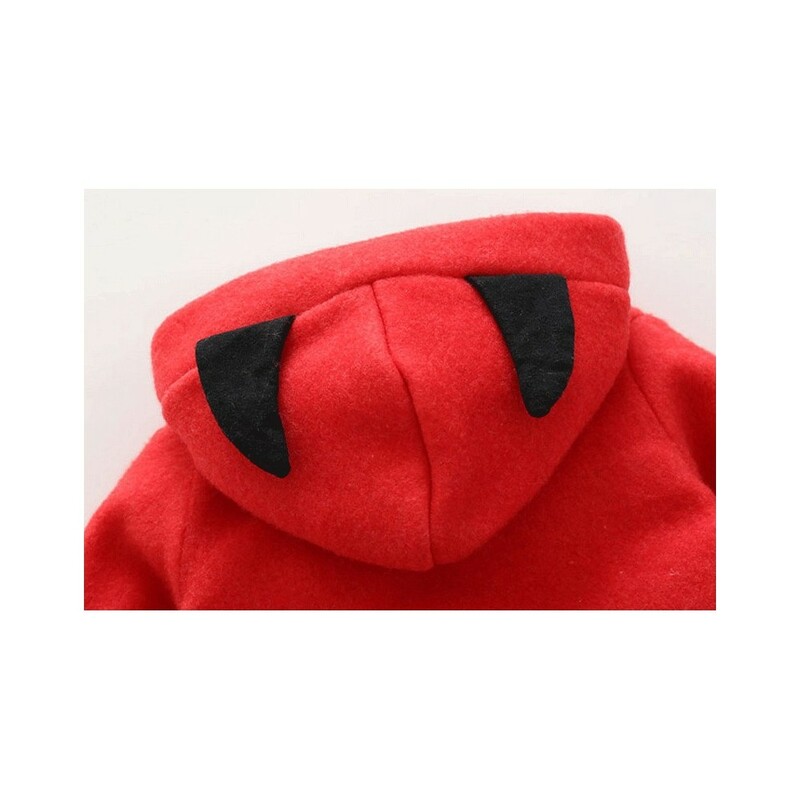 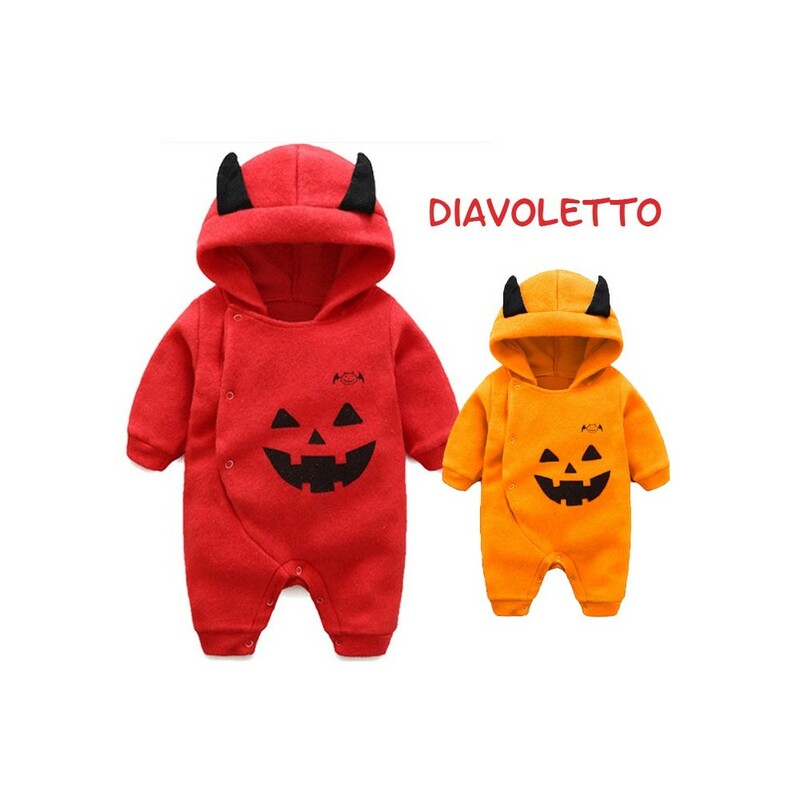 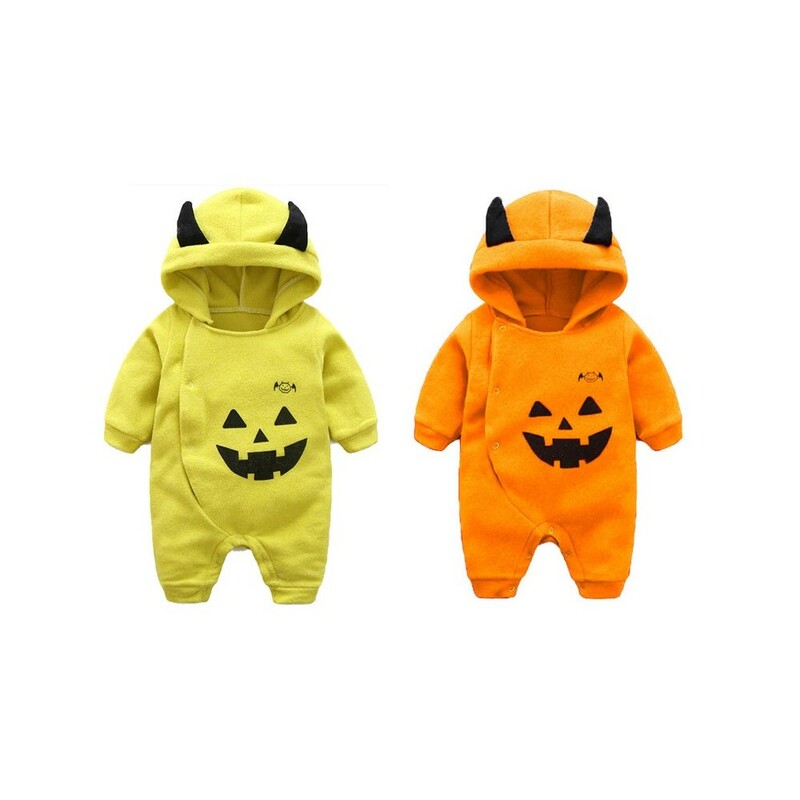 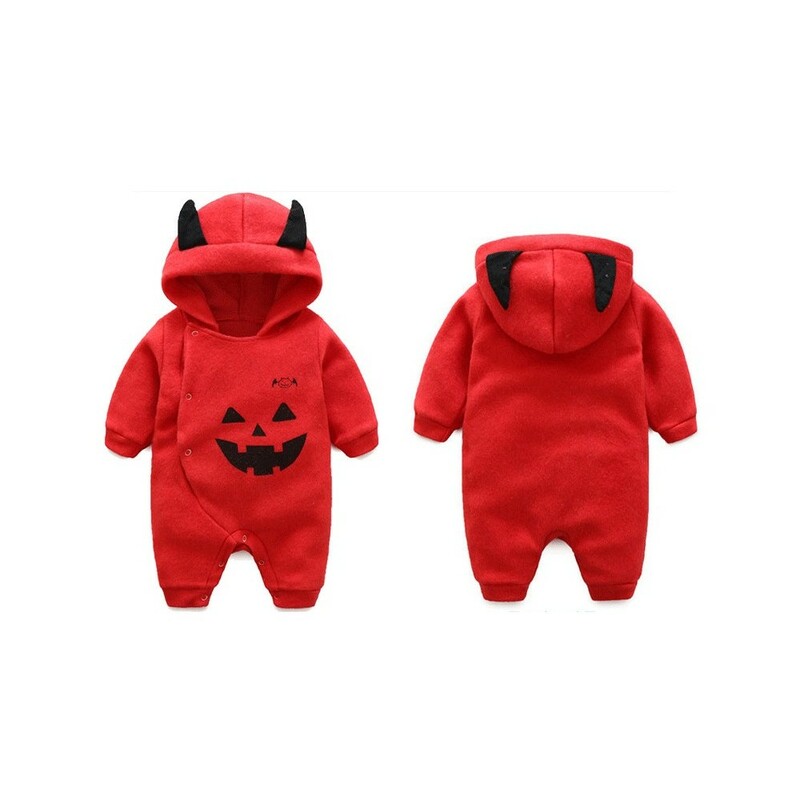 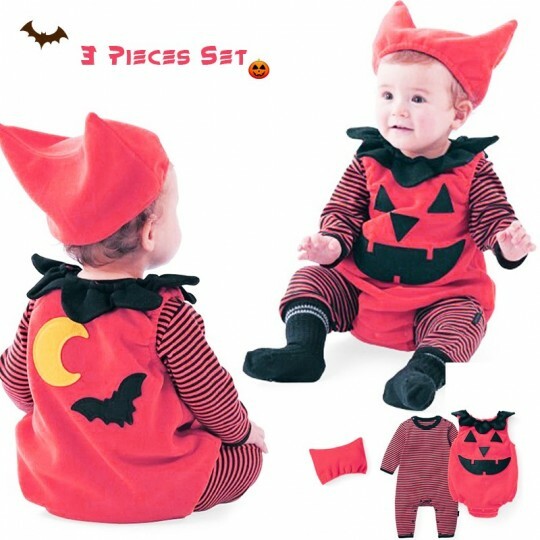 Very nice little devil costume for kids, perfect for Halloween, very warm and comfortable, available in 2 colours.